Tell us what you think about the web site, the books, the poems, the Bible Studies, or anything else that comes to mind. We welcome all of your comments and suggestions. To see you are not a robot - put in address at email of choice. Feedback from S. K. Smith's homepage. 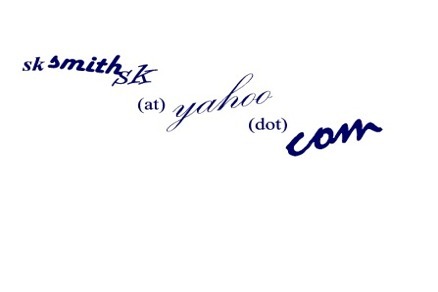 Copyright © 2014 smithsk.com. All rights reserved. Revised: April 05, 2014 .